Home » About Us » Our Team » Physicians » Mohamed N. Mahomed, M.D. Dr. Mahomed is a board certified Orthopaedic Surgeon specializing in hip and knee replacements and arthroscopy of the knee. After completing two years of undergraduate degree in biology and physics, Dr. Mahomed received early admission into the Faculty of Medicine at the University of Toronto. After completing his medical degree, he did a rotating internship at Toronto East General Hospital. He then did a five-year Orthopaedic Residency at the University of Toronto where he did several research studies and papers. He then completed fellowships in total joint replacement at Toronto East General Hospital and the prestigious A.O. Maurice Meuller Fellowship in Adult Reconstruction in Berne, Switzerland. Before joining Kansas Orthopaedic Center, Dr. Mahomed had been practicing in Seattle, WA, for the last decade where he specialized in total joint replacements and arthroscopy of the knee. Dr. Mahomed believes in giving the same care and advice to his patients that he would to his family and friends. He feels that the needs of each patient are unique and are his paramount concern. Medicine today is filled with information about treatments from a myriad of sources, both reliable and not. Most people come to an orthopaedic surgeon because they are in pain or they cannot function to a level they wish to. He believes it is his job to help patients discover the cause, educate them about the options available, both conservative and surgical, and help guide them to make a choice that is right for them. 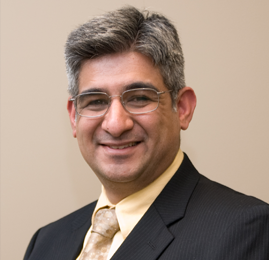 Dr. Mahomed is a member of many professional, associations including the American Academy of Orthopaedic Surgeons, Canadian Orthopaedic Association, College of Physicians and Surgeons of Ontario, Kansas Medical Society and the Medical Society of Sedgwick County. He has dual Board Certifications in orthopaedic surgery by the American Board of Orthopaedic Surgery as well as the Royal College of Physicians and Surgeons of Canada.